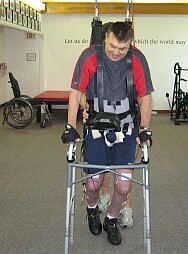 How to get up and walk again!? Welcome to my Mission ImPossible!!! quad with broken neck… planning to get up and walk again. all available possibilities… I HAVE A PLAN for successful therapy!!! On this Blog you can also see the latest News from SCI Cure mission and Resources for Unlucky Newcomers.